The Ivanor Law Firm serves our clients who have the need for trusted representation in the areas of Criminal Defense, Family Law, Immigration, and Personal Injury. One of the most valuable rights we have in America is liberty. Having a competent and experienced attorney to help you maintain that liberty is essential in life. Don’t risk your freedom! Give me a call right now for a FREE CONSULTATION. We’ll go over your case and explore what options you may have available. I use a variety of approaches in family law cases including collaborative law, mediation, and going to trial. You only get one day in Court! 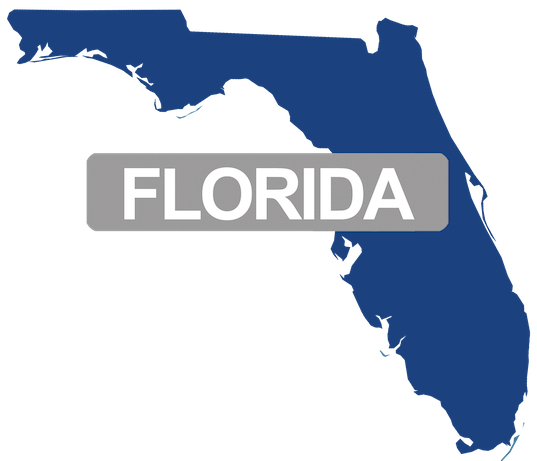 Let my experience as a Florida prosecutor and a criminal defense attorney work for you. I know the law. I am extremely knowledgeable and up-to-date with the constantly changing immigration laws. Those who are injured can file a civil lawsuit against the other party whose negligence or recklessness led to your injuries. Attorney Carlos A. Ivanor is a proud member of The National Trial Lawyers Top 100 Trial Lawyers – an invitation only organization composed of the premier trial lawyers from each state in the nation who meet stringent qualifications as civil plaintiff and/or criminal defense trial lawyers. Membership is extended solely to the select few of the most qualified attorneys from each state who demonstrate superior qualifications of leadership, reputation, influence, stature and public profile. The law is complicated. Attorneys are trained and educated in the principles of the law and evidence A licensed attorney in Florida must complete a bachelor’s degree followed by law school (Juris Doctorate Degree). A licensed attorney must have also passed the Florida Bar Exam. An attorney with relevant work experience will be able to use that in his client’s interest. For example: a person would not want to go get surgery with a doctor who has never performed surgery. Ask an attorney to provide you his previous trial experience and work history. Not having a lawyer may actually cost you more. What is at stake? A criminal case may determine whether or not you spend time in jail or it may lead to you becoming a convicted criminal. A criminal conviction could lead to you losing your job, not being hired at a new job or even limit your options on where you can live. Having a deportation order or not being able to reside in the United States could be very costly. Going through a divorce (or paternity action) and losing it all will have adverse consequences on you. Having an attorney with the experience and training to assist you is critical to your future and well being. Lawyers know how to challenge (and sometimes suppress) evidence. You may not even know that a key piece of evidence against you was improperly obtained or that the testimony of a witness contradicts an earlier statement. And did the crime lab properly handle the evidence every step of the way? An experienced attorney will find out and protect your constitutional rights. Attorneys understand how to properly file court documents and handle other legal procedures including introducing evidence. Because you don’t know any expert witnesses or private detectives. Attorneys depend on an extended network of professionals to help their clients’ cases. Most non-attorneys do not personally know the types of professionals who can help with discovery or challenge evidence or testimony by the opposing party. You’re not sure how to plead — or what a ‘pleading’ is? Pleading guilty or admitting pleadings are not the only options available to you, even if there is evidence pointing directly at you. An attorney who understands the law will be best situated to explain your options and can help you avoid potentially severe penalties even before a trial begins. Because it is probably better to avoid problems in the first place rather than try to fix them once its too late. Your attorney will deal with your headache and stress. Attorneys are here to help clients. Hiring a lawyer in many instances will help you avoid potential legal headaches down the road. A good lawyer can strike up a good settlement offer or plea bargain, if necessary. An experienced lawyer probably has seen cases similar to yours or at least knows enough to make a calculated guess about how it might resolve at trial. Sometimes a settlement is the best choice, while other times it makes more sense to see your case through to trial. An experienced attorney also can help negotiate a fair settlement with the opposing party. The other party has legal representation. Non-attorneys are generally at a disadvantage when squaring off against opposing counsel or doing business with another party that has legal counsel. As explained above, the law is complicated and an attorney representing your adversary (or even a non-adversarial party entering into a legal agreement with you) will take advantage of this. Lawyers often provide a free initial consultation. We will meet with you for free during a face-to-face consultation, there is really no harm in talking with us. A free consultation will give you an idea of the type of case you have and could answer all of your questions. Contact The Ivanor Law Firm Today. Put your criminal defense, divorce, child custody, or immigration matter in trusted hands.